Home / Why Do We Like Our Food Hot? A Question we see surprisingly often is online is why do we like our food hot? this answer isn’t as straightforward as you might think. There are a number of reasons we like our food hot and we will go over those throughout the blog. We will look at the process of cooking food as well as spices , hot sauces and of course ghost peppers. In particular we will be looking at how food habits and changes in the EU have helped shape attitudes in the US. Spices have been around for centuries and have always been seen as a valuable commodity. The Spice trade has been present amongst Caribbean islands as well as countries in Asia for many years and has gradually made its way throughout the world. Now in countries across Europe such as the UK and Germany curries are extremely common and popular. Regardless of what meal you may be preparing spice can add both flavour and kick into a dish. Whether it is sprinkled into a casserole or mixed into a curry Spice always performs in the food world. Our love of spice may contribute to our overall love of hot food. Spice hasn’t always been popular with the mainstream food world. 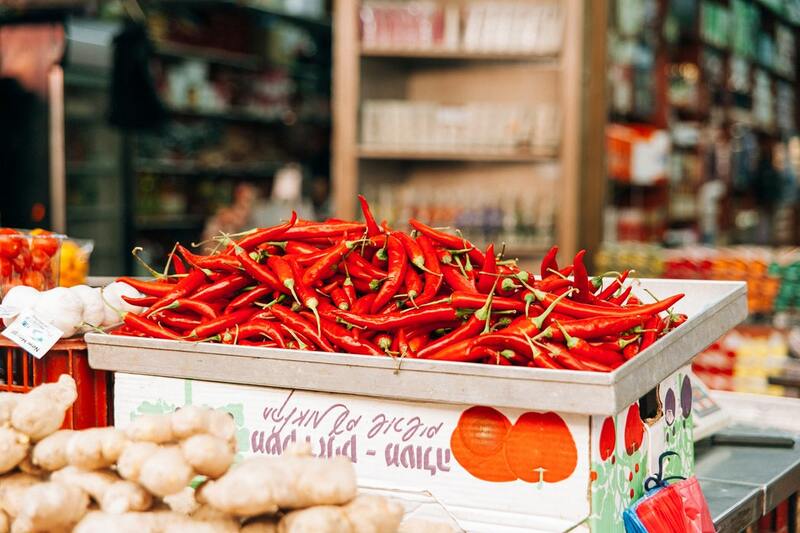 However in the last seventy to eighty years Indian food in particular has had a major impact on the European food industry Spices have a major role to play in our love of hot food and likely will for many many years to come. Hot Sauce has also played an important role in our love of all things hot when it comes to food. Whether it be hot sauce in a sandwich on a burger , steak or on a vegetarian meal there are a variety of different applications for Hot Sauce. Hot Sauce is amongst the most popular condiments in the US as ketchup is in the UK. One of Hot sauces most useful traits is that it can be used with almost any type of food to add a little extra flavour and kick. One of the most renowned and well known Hot sauces is the infamous Ghost pepper sauce. The Ghost pepper is amongst the hottest peppers on earth and is extremely hot in this sauce several Ghost peppers have been crushed in order to produce this deadly garnish. Cooked food is standard practice for the majority of the meals across the globe. The process of cooking has been around for a very long time although it has evolved through the years. Eating food hot or warm can help to enhance the flavour of meal. Furthermore meat can be harmful if it is not cooked as the bacteria present can be deadly. In order to prevent this most meat is cooked. Cooking food is a process everyone associates with food and so could perhaps be linked with many people’s love of hot food.